Bug? Bug? I’m sorry, have you ever used Microsoft software before? Microsoft has an apparent long-standing policy of only supporting new technologies, services and devices on their newest platforms. This forces adoption of said platforms. They’re also generally unwilling to support their competitors. 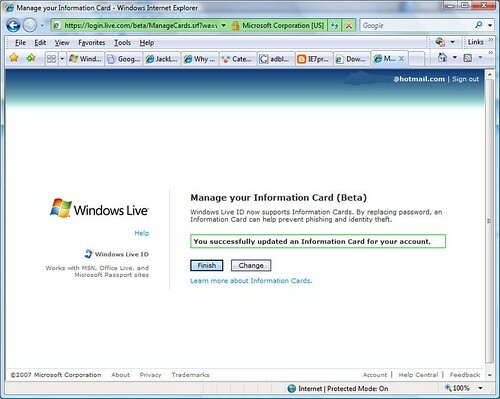 In this instance it hardly matters; no-one really uses MSN, Live.com et al. any more.